Here's the bold and sweeping epic adventure that is guaranteed to thrill action seekers of all ages! 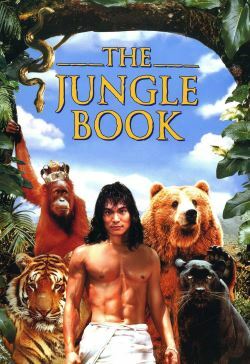 Jason Scott Lee stars as Mowgli, a boy raised by wild animals in the jungles of India. Longing to enter man's world, Mowgli is aided by Kitty, the beautiful daughter of British official Major Brydon. Mowgli soon faces a ruthless soldier who wants both Kitty's hand in marriage and a hand on mythical treasure that only Mowgli can find.